Make a tasty ginger beer soda in just a couple of days time with this easy to follow recipe. All you need are some fresh lemons, ginger, water kefir and patience. You’ll be glad you waited! Place your ginger slices and 1 cup of water kefir into a blender. Blender until the ginger is fine. Squeeze in the juice of half a lemon, don't worry about the seeds falling in at this point. Pour in the rest of the water kefir. Transfer to a jar and cover with a lid. Let this sit at room temperature 8-24 hours. After 8-24 hours, strain the solids out of the water kefir. Place the flavored water kefir into a tightly sealed bottle and let sit 1-2 days to become carbonated. I am just starting to learn about making any fermented foods beyond yogurt and water kefir is so much fun!! We loved the ginger beer water kefir. So delicious. Was the perfect solution to a tummy upset as well. Happy coincidence. Thanks for your recipes and the guidance. I love how this looks! Definitely excited to give this a try at home, it seems so delicious! 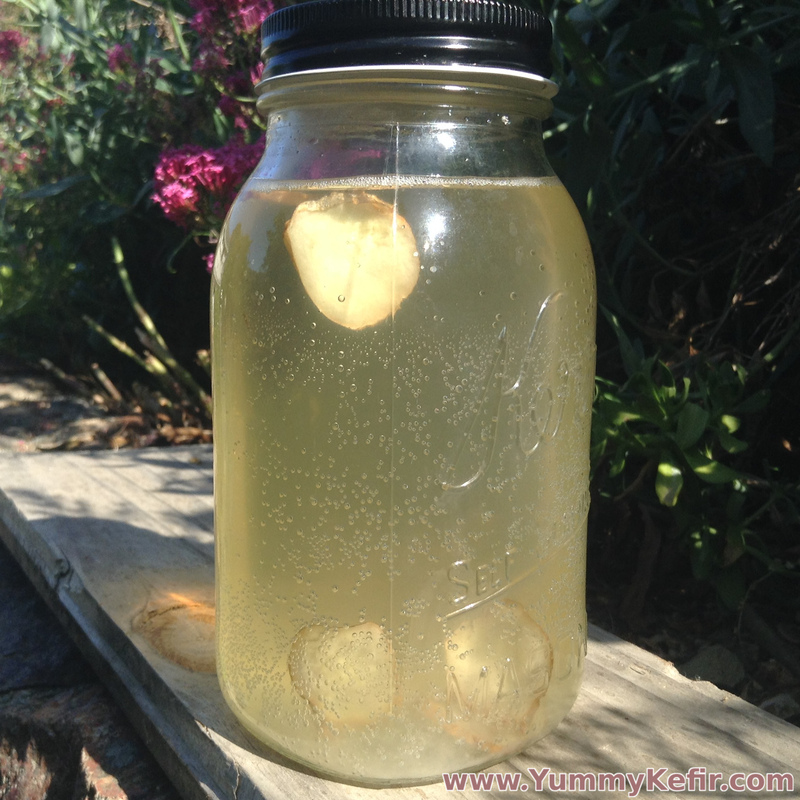 I haven’t made my own water kefir in a long time, thanks for sharing!